(Christopher Dolan/Times-Tribune via AP) Presidential candidate and U.S. Senator Bernie Sanders (I-VT) speaks to a gathering of the Pennsylvania Association of Staff Nurses and Allied Professionals at Mohegan Sun Pocono in Plains Twp., Pa. on Monday, April 15, 2019. Vermont Sen. Bernie Sanders on Monday released 10 years of his long-anticipated tax returns as he campaigns for the 2020 Democratic presidential nomination. 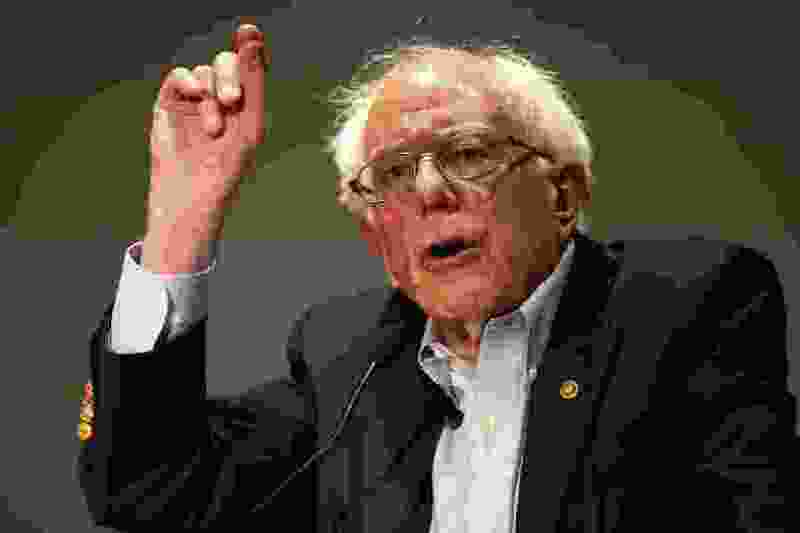 Washington • Vermont Sen. Bernie Sanders on Monday released 10 years of his long-anticipated tax returns as he campaigns for the 2020 Democratic presidential nomination.